In the beginning of the summer my kids went to day camp where they enjoyed hiking, swimming and all sorts of nature activities. Their camp councilor challenged them that if they picked up 200 pieces of garbage throughout the week they would get ice pops. 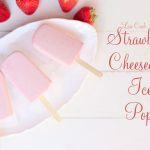 My boys told me about this and I asked the councilor if I could make their own healthy ice pops and give them my keto ice pops instead of the sugar-filled versions with food dye. He said absolutely! He stored them in the camp freezer until that day. 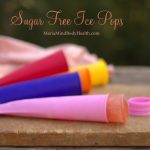 Something we always have in our freezer is sugar free keto ice pops! I love them, my kids love them and they are so easy to make. I grew up on a bed-night snack and it was my hardest habit to break. Instead of eliminating something from my life, I find more success when I replace it with a better option. At night I either have a keto snow cone or an ice pop. This has helped me tremendously to be able to stick to my keto lifestyle! 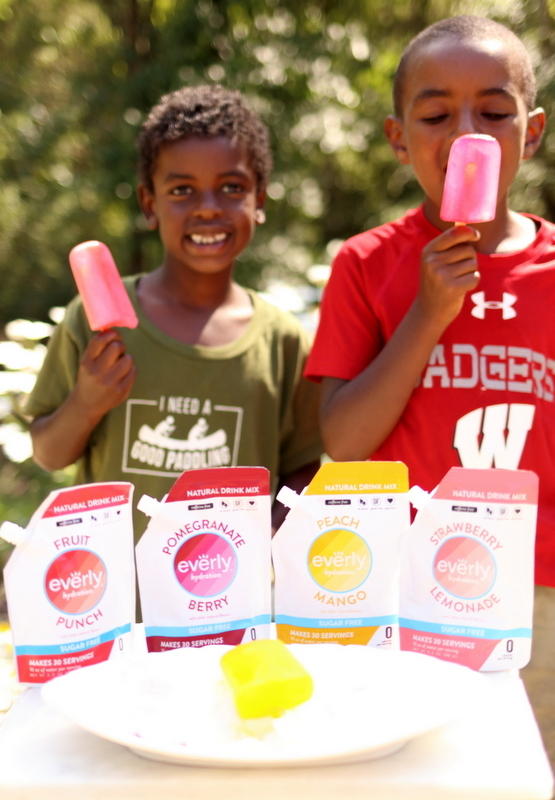 Everly is a fantastic drink option that I realized not only taste great in water, but makes fantastic ice pops! 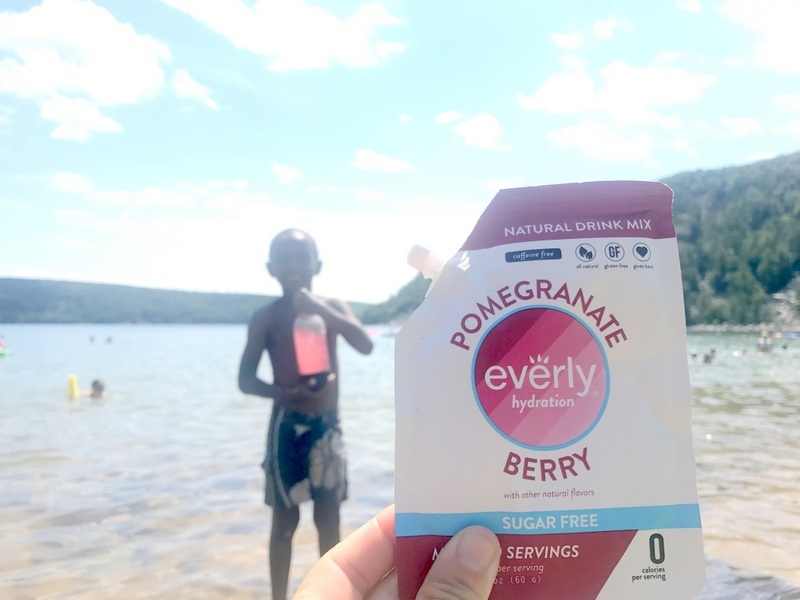 We pack this drink mix to my parents cabin and on camping trips where I know my kids will see other little ones enjoying juice boxes and Gatoraide. 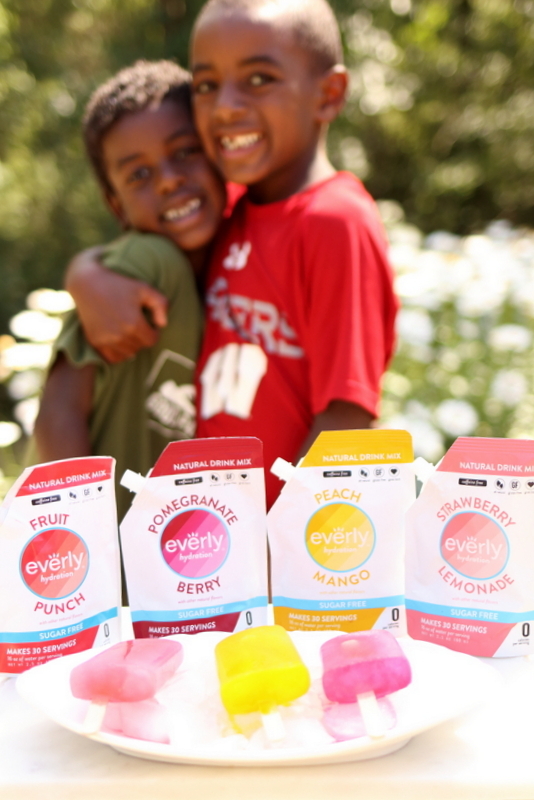 By packing Everly drink mix my boys do not feel left out at all! 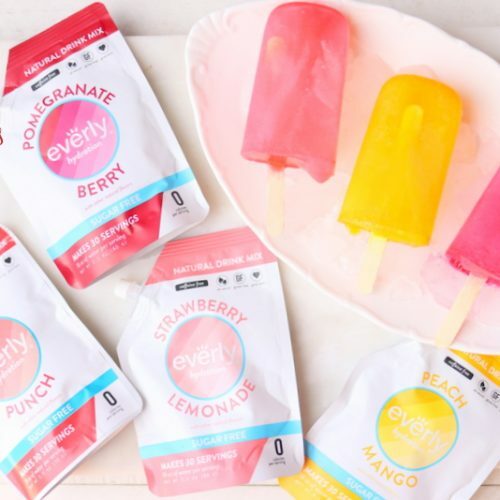 Click HERE to order Everly Drink mix. Use Coupon Code: maria10 to get 10% off your order!!! Place the ingredients in a bottle and shake well to combine. Taste and adjust sweetness to your liking (add more Everly or water depending on how sweet you prefer). 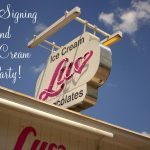 Pour into ice pop molds and free until set, about 4 hours. Store in freezer for up to 1 month. Click HERE to find the ice pop molds I used. A great update from a past phone client! “Because of you!!! The before pictures were when I started with you 6 years ago. I have been at a healthy weight for awhile but you are my inspiration and have been such a great support. I have hopes to meet you one day just to say thanks! 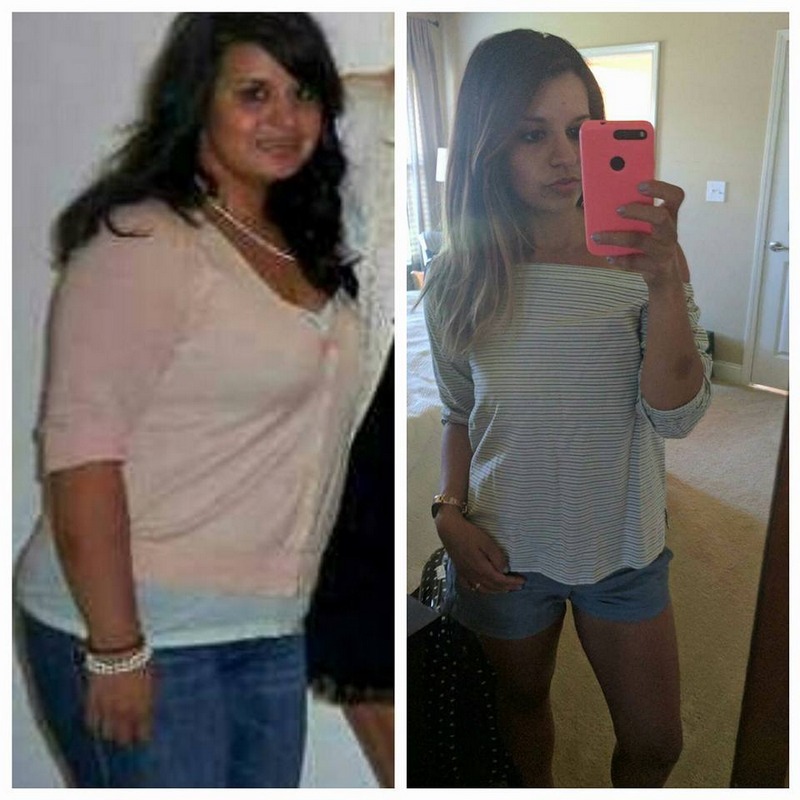 Click HERE to get started like Amanda! I totally agree with Megan. Love all the kid friendly recipes too.!! Thank you for having your children in your videos. I have found that I am getting my kids more involved in the kitchen 🙂 It’s a great time for us to bond while cooking! I am in LOVE with Everly! Drink it all the time! I was wondering if I could make gummies with it instead of using the Stur. How would you recommend replacing it? I appreciate this post – my son is always wanting juice like the other kids he is around. Hard to deny him the option, but we do. Love this idea. For you – Do you drink/eat this as well or is it just a treat for your kiddos?